Pregnant with grief and pain. Penetrating into the quite lugubrious abyss. resounding in the stillness of the night. hanging precariously from the leaves. It’s body cold as ice. and licks the furry body. she embraces it for One last time. - A poem by Tikuli. She is the ‘Royal Bengal Tiger’ #1411Tigers left in India… What are we doing about it? I kept reading these tweets off late. I thought to myself. What can we do about it? Just keep spreading the message to all tweeples and others through social networking sites. Okay I do that… what next? What is going to happen? I mean come on. So you ask me to spread the message about saving tigers. But what is the situation? Does anybody bother to find out.. Did you? I mean do we really understand what the gravity of the situation is. So I tried to do a little research and find out how I could contribute in this cause and what is really happening. You can do too. Read about it. Publish it in your blog. Have visitors visit and spread the awareness. TV and other media is in for the cause. Your choice whether you want to join or not! Or you can stand in the middle of the road and say ‘STOP POACHING.’ But would it really matter to the people who are? I don’t know. But it’s worth a try. When I was 10 years old my dad bought me a collection of books from ‘Childcraft’ They had a book in it Book no 5 if I remember correctly. It was called ‘The Animal Kingdom’ I guess. Internet back then was only used by U.S Army if I know or not invented either. My source of wisdom and knowledge were books like these or ‘The encyclopedia’ which he had brought along with this set. Anyways, in the book there were pie charts like these below. Red stood for extinct and blue for remaining. The Bengal tiger, or Royal Bengal tiger (Panthera tigris tigris, previously Panthera tigris bengalensis), is a subspecies of tiger, found in India, Bangladesh, Nepal, Bhutan, Burma, and southern Tibet. According toWWF there are about 2,100 Royal Bengal tigers in the wild today, including 1,411 in India, 450 in Bangladesh, 150 in Nepal, 100 in Bhutan, as well as a number in Burma and China. 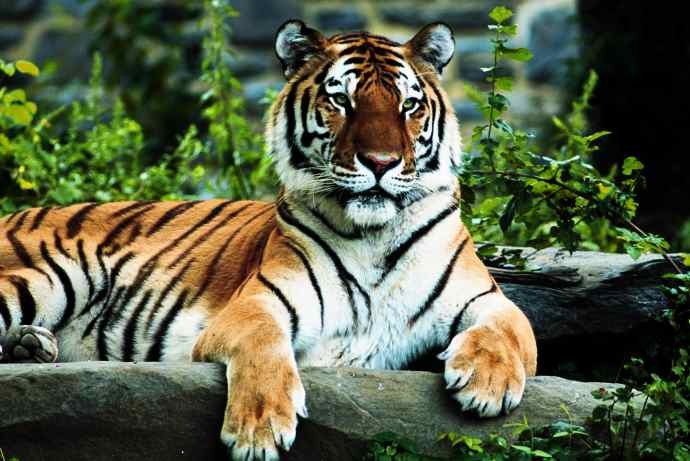 The Bengal tiger has been a national symbol of India since about the 25th century BCE when it was displayed on the Pashupati seal of the Indus Valley Civilisation. On the seal, the tiger, being the largest, represents the Yogi Shiva's people. It is true and will remain true is that it hasn’t stopped completely. In 2006, India's Sariska Tiger Reserve lost all of its 26 tigers, mostly to poaching. In 2009, the Panna Tiger Reserve also reported that there weren't any tigers left within the sanctuary due to excessive poaching. Which is why we are speaking up for this campaign! That’s where we come into the picture! The Indian Wildlife Protection Act of 1972 enables government agencies to take strict measures so as to ensure the conservation of the Bengal tigers. Tiger scientists in India, such as Raghu Chundawat and Ullas Karanth, have faced a lot of criticism from the forest department. Both these scientists have been for years calling for use of technology in the conservation efforts. Chundawat, in the past, had been involved with radio telemetry (collaring the tigers). "India has to decide whether it wants to keep the tiger or not. It has to decide if it is worthwhile to keep its National Symbol, its icon, representing wildlife or not! Also check out the statistics below to find out what was the plight of the tigers in 1994 and how it has reduced. All thanks to the awareness generated by people like us. But has not STOPPED. In January 2008, the Government of India launched a dedicated anti-poaching force comprising of experts from Indian police, forest officials and various other environmental agencies. But the true question is What can ‘you’ and ‘me’ ‘the common man’ really do to save #1411 Tigers remaining. Here’s what. Reach out to your friends who in turn will reach out to their friends who will educate people who aren’t aware of ‘Poaching’ We have to shout out. Write about it.. Text your friends. Reach out. Let the poachers be afraid of the revolution against them. Check out these links to help. I did. HI! this is Kanisha .this site is very nice. this helped me very much in my project.the poem is very nice. You are most welcome! I'm glad this was able to help you!